Animal Hats Back in Stock! - CTS Wholesale LLC. Animal Hats Back in Stock! 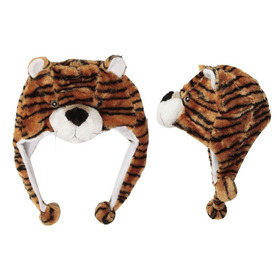 The year's hottest selling product line; Animal Hats are back in stock now at CTS Wholesale! These are selling fast, so be sure to check out which ones we have back in stock soon. If you haven't seen these yet, our wholesale Animal Hats are available in two unique styles. We offer Long Arm Animal Hats, that feature built in mittens, which are reversible. We also offer Short Animal Hats that have balls at the ends of the flaps that cover your ears. The animal hats are available in several cute animal options. We have adorable bunnies, which you can get in the long or the short style. We also have really cute penguins available in long and short. There are monkeys, grey wolves, and tigers all available in long or short styles. Our long armed tiger is a nice looking white tiger, and our short tiger is available in two shades, both in classic tiger coloring choices. 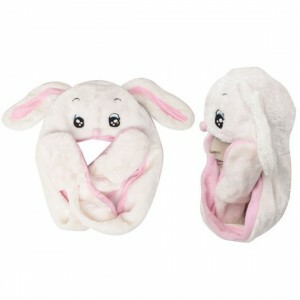 There is also a darling pink bunny (short) in stock. Our wholesale Animal Hats are priced right too! Our short styles are just $3.50 each, and the long arm styles are $6.00 each. They are sold individually as well, so you can select the Animal Hats you want. These are selling very well at all locations, at a price that will allow you to make outstanding profits. Be sure to order your animal hats soon, they are selling very quickly, and it's no wonder why! They are perfect for kids, and adults. Along with the wholesale animal hats, our wholesale beanies are selling very well too! Our beanies are available in terrific assortments that appeal to men, women and children alike. Sold by the dozen for just $24; which breaks down to $2, these are a great way to make a very nice profit.